Drawing on the expertise of eight distinguished theologians, this collection of essays offers a unique insight into the many facets of the character of the deacon. The essays are divided into four areas: the diaconate and Scripture, tradition, prayer, and action. 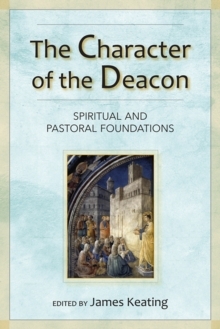 This book will not only serve as a dynamic resource for the intellectual and spiritual formation of deacons, but it will also secure for the deacon who has ministered for many years what he only glimpsed at the beginning of his ministry - Christ called him into a vocation that is fuller and richer than he could have every believed.